How do I get my website unstuck from page 2? Doesn’t it seem like almost every time you try to get a site ranking, Google reserves a special spot just for you right on page 2. I’ve spent many hours working on both my own sites, as well as client sites, to get moving again in the SERPs. Google’s algorithms are complicated, but more oftent than not, its just a few small changes that need to be made in order get unstuck. I’ve 80-20’d the process and have come up with a list of essentials that need to be tackled before you can expect to move forward. Below, find 24 steps that will help you debug those page 2 blues. Infographic design by the one and only, Content Blossom. Onsite Tip #5: I have a homepage article called Best Dog Leash Guide and I plan to publish a post about 10 Best Canine Tethers. The homepage article is a buying guide while the other is just a top 10 list. Both are talking about “dog leashes” but are targeting quite different keywords. Does this fall under tip #5? And if so, what should I do? I’m thinking of just merging the two, but then I’ll have this ginormous 5,000 word article. Any thoughts? Onsite Tip #1: This is a bit of a contradicting tip for me because in your e-book, I seem to remember that the main keyphrase should only be mentioned 2 or 3 times for every 500 words. Tried it myself and that seemed to increase the rankings. Although it coincided with my diggity links purchase so I’m not sure which is which. Any thoughts? Tip #5 – I’d say you’re pushing dupe content. Just merge them into one article and enjoy ranking for all of the keywords both pages would have targeted. Matt, perhaps we are confused by the wording, but I too thought you recommend to repeat the kw phrase 2-3 times every 500 words. Could you shed some light on what is the recommend KW density for longer (1000-2000 word articles)? Don’t worry too much about the keyword phrase. 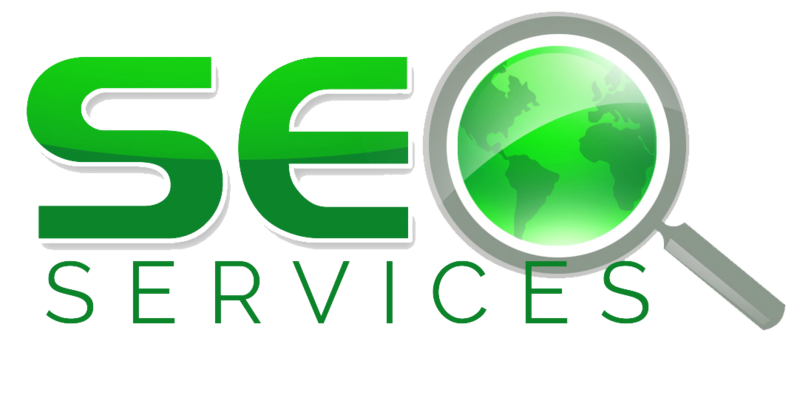 Get it once or twice in the SEO tag and H1 then maybe sprinkle it in the content. Be random about it. Density is all about single-word. Aim for 2-4%. Let’s assume I want to rank for “electric shaver reviews”. Should I try to aim for 2-4% density for the word “electric”, 2-4% for “shaver” and 2-4% for “reviews”? Because you said it’s all about single word. Correct. That’s my rule of thumb. Hi Matt, I have read your post many time. Your post is so informative . I want to apply your guide to my site but how to add review or best kw to my existing page with density is 2 -4%. The those keywords will appear 60 time in 2000 words article. Visitor maybe feel a bit bored. How about using synoynyms instead? Or hiring a decent writer? If I’m trying to write engaging content on the “best fabric softener” I don’t need to use the word “best” 200 times in a 2000 word article to keep the reader engaged. Variety is the fruit of life. Great infographic Matt and just what I need for a stuck page. What affiliate cloaking method would you recommend for a non-Amazon link? And Amazon links while I’m asking? For Amazon sites, use the EasyAzon plug which has everything in the above article. Matt, Great post man. Simple yet precise to the point. Great content as always Matt and the new design looks amazing! Keep up the good work! If we’re trying to rank a catefory page for an ecommerce store then that page would need 500 to 1000 words too? I rarely see ecommerce pages without words being able to rank, unless they have an absurd amount of link juice. How do you decide whether to go for 2 or up to 4 % KW density? Around that range is fine. There’s no precise science, but it does tend to be niche-specific. Hi Matt, would you say linking to your own YouTube channel or BBB page is enough of an outbound authority link or should it be something not in your control, nor about your business, that is relevant to your niche. I.E. if your page is about search engine optimization, should you link to the MOZ article that inspired your content or is simply linking to your MOZ profile enough? Link to something 3rd party. Kudos Matt! What a great face lift for this huge blog, the new design looks really amazing… and your content keeps getting better by the minute my friend. I found some links in the webmaster tools pointing to my site from websites which contain chinese or arabic language. We are talking about 3-5 links here and I have no idea where they came from. What shall I do? DIsavow them or just leave it as it is? I’d ignore them if you’re not seeing a negative ranking effect. I find the article really useful, but a question came up after reading your post and analysing the anchor text distribution of one of my sites with webmaster tools. Does each and every one of these links count towards my anchor text ratio? Because webmaster tools now shows a total of 27 links from reddit, simply because I submitted one link. If each link counts (which I doubt), I come to the conclusion that having a PMA or EMA anchor text link, which goes viral on reddit, would be the absolute worst case, because your anchor text ratio would be f*****. I got many links from web 2.0 properties like tumblr, wordpress & wix following the same principle. I hope you get the idea and understand what I am trying to say here :). English is my second language, so I apologize for not being able to express myself clearly. Count 1 anchor per referring domain. PS: Your English was 100% fine. And what if I have different links (with different anchor texts) to the same page from different pages of the same domain? or from subdomains like tumblr.com and wordpress.com to the same page? They count as separate and unique anchors. If I want to rank my website for multiple keywords, let’s say “best beard shaver” and “beard shaver reviews” and I want to know how many EMA I have, do I have to distinguish between these 2 keywords. So the link anchor text “best beard shaver” is not an EMA for the keyword “beard shaver reviews” and vice versa? Which means that I had to analyse the anchor text distribution for each keyword I want to rank for separately? My rule of thumb would be… any anchor that has the word best, beard, shaver, or reviews is considered a target anchor. I’m not tabulating EMAs. Great strategy I use all the time. Hi there! It is about 1 month ago when I published my press release via prweb.com. In the beginning results looked really great and my main KWs jumped from about 26/28 to 17/18 in a 3 weeks period and I expected even more improvement in the following days/weeks. Now about another 10 days later, rankings dropped back down and got even worse than they were before to 30/33, butI did not change anything on the sites or off-page. Hi Daniel. Just like this infographic details, there are many ranking factors that could culprit here. I wouldn’t blind-spot yourself into blaming it on one thing. In particular, duplicate content is not the bad guy in this situation. Thanks for share. I find one of my sites get strucked, following the Tip #5. I’m cancelling the redundant articles. Do I need to do something more to let google know no redundant contents on my site anymore? Just get it crawled again. They’ll pick up the changes. What do you think about 301 redirecting expired domains to diversify anchor text? Afaik anchor text passes the redirect? Right. But 301s are very tricky. You’re also passing the relvance which may or may not be what you want. I really like your posts and you have laid out a really nice summary, of what is important to eventually get to page#1. Thanks, Philipp. Glad to help. in the comments you said that anchor text distribution is counted per page. If I have 2 money pages on the same domain and 1 of them has a really bad over-optimized anchor text distribution, does that affect the second money page with a great distribution? No, it doesn’t. But if these money pages are on the same topic, then you have yourself a duplicate content issue. Good info-graphic with all good points, I am sharing this with all our SEO students and surely this is going to be helpful for them. Nice one! Embedded your infographic on my Digital Marketing blog Matt! Thanks for the great tips. Every time I read your blog I learn more and end up having to make changes to my site to improve. This is full with educative stuffs. My knowledge in SEO is very little, however i am optimistic that, Diggity makes me up!! quick question regarding siloing, if you might. Let’s say I started a website called best-hair-dryer.com with the homepage ranking for the big KWs in Serps position 1-5. Now I want to add a second page for “best hair straightener”. Should I create a second silo for this and not contextually link from the root to the hair straightener silo and back or can I link between the 2 pages because it’s both related to “hair”? That’s definitely topically relevant enough. But play with it. Try with linking and without. See what gives the better effect. does Google employ a real human who reads a new post after indexing? My site speed on most of my sites is slower than it should be and as a non tech person its not something I can sort by myself. I think you suggested a site speed service somewhere on your blog in a previous post (or maybe I’m imagining it?) and I just can’t find it. Is there anyone you recommend that can do this? This is a great help mate! I am stuck on page 2 at the moment and nothing will budge me. I have gone over my on page stuff again so here is hoping. Be great if you could take a quick look at my site!